Find the content you need to help with your IT research and decisions, whether you prefer to read it on your desktop or laptop computer or on the go from your tablet or mobile device. The CDW Digital Experience provides you with access to all of CDW’s publications, tech magazines, technology insight guides, white papers and more, all in one place. 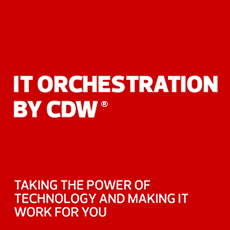 CDW’s Tech Magazines explore technology and business issues that IT leaders and business managers face when they’re evaluating and implementing IT solutions. CDW’s featured content covers a broad range of topics and focuses in on different segments including higher education, K-12 environments, government and small businesses — so you can find the content that speaks directly to your organization. Welcome to CDW Digital app.